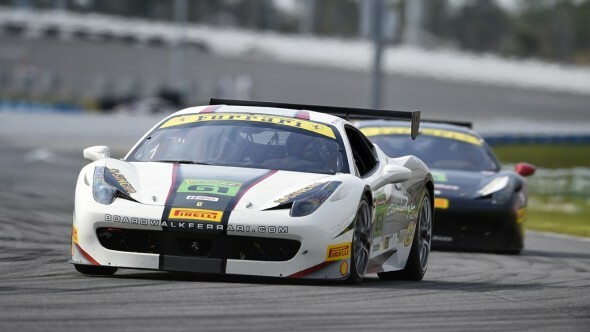 Daytona Beach, 24 January – The opening weekend for the 2015 North American Ferrari Challenge season came to a close today as the chequered flag waved brilliantly above the Daytona grandstands. The doubleheader weekend with the 24 Hours at Daytona enthralled Ferraristi as the second leg of the weekend was raced completely under heavy downpours. The high banks and hairpin turns were mirrored with translucent reflections along the speedway’s pavement. Amidst the clouds and wet terrain, 29 drivers in the 458 Challenge EVOs raced in one of the most exhilarating races to open the 2015 season. Gregory Romanelli of The Collection, who started today’s race in sixth position, overtook five cars including that of pole sitter, Emmanuel Anassis of Ferrari of Quebec, within the first turn of the race. From there, Romanelli, Anassis, and Ricardo Perez of Ferrari of Houston, tailed each other for a majority of the race. Ultimately, Perez would overtake Romanelli at the end of the dogleg before climbing the banks at Turn 6. Perez finished first overall and for the Trofeo Pirelli class, with Anassis and John Farano of Ferrari of Ft. Lauderdale stepping on the second and third steps of the podium respectively. The endurance was just as competitive for the Trofeo Pirelli AM drivers. 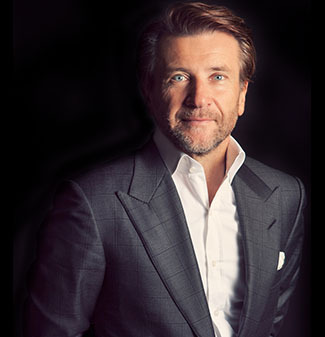 With Robert Herjavec of Ferrari of Ontario leading his group from start to finish, there was a tight battle for second and third positions. After several spins at Turn 1, Arthur Romanelli of The Collection finished behind the Canadian. rookie Anthony Imperato of Ferrari of Long Island, who finished third, making this his first podium finish. Finally, the Coppa Shell category saw some new faces, with Chris Cagnazzi of Ferrari of Long Island finishing first, and two drivers from Miller Motor Cars, Rodney Randall and veteran Al Delattre finishing second and third. The second round of the 2015 Ferrari Challenge season will be held March 6-8 at Homestead-Miami Speedway in Miami, Florida.